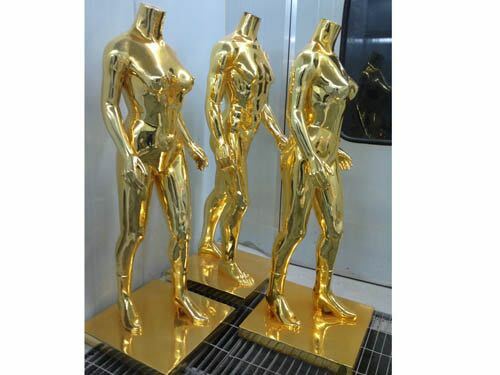 Product categories of Spray Chrome Metallizing Service, we are specialized manufacturers from China, Crafts Spray Chrome Processing, Model Nano Spraying Chrome Processing suppliers/factory, wholesale high-quality products of Sculpture Nano Spraying Chrome R & D and manufacturing, we have the perfect after-sales service and technical support. Look forward to your cooperation! spray chrome is an environmentally friendly surface treatment technology, in the production process will not produce emissions, waste water, waste and other emissions. Chromium materials are water-based materials. My company mainly provide manual spraying chrome metallization. For example: clothing models, handicrafts, hangers etc.